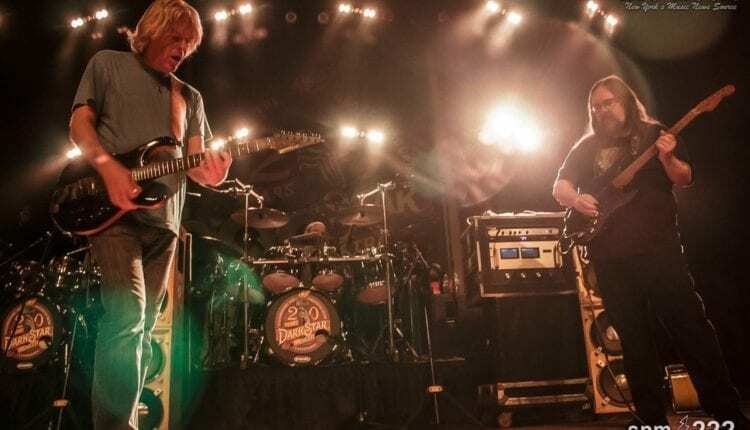 On Nov. 12, Dark Star Orchestra traveled downstate from a show at the Palace Theater in Albany to Paramount Hudson Valley in Peekskill the next night to continue celebrating their 20th year of performing authentic Grateful Dead show replications. The saying “never miss a Sunday show” was once again validated by DSO’s stellar sets at the Paramount a day after the 20th anniversary of their first show in 1997. A fun game for the audience at any DSO show is to take a guess as to what Grateful Dead show the band is covering (which they later reveal before their encore). Shortly after the start of the first set it was fairly easy to narrow the time frame to the late 1980s/early 19990s from the prominence of the keys and later the style of the drum break. 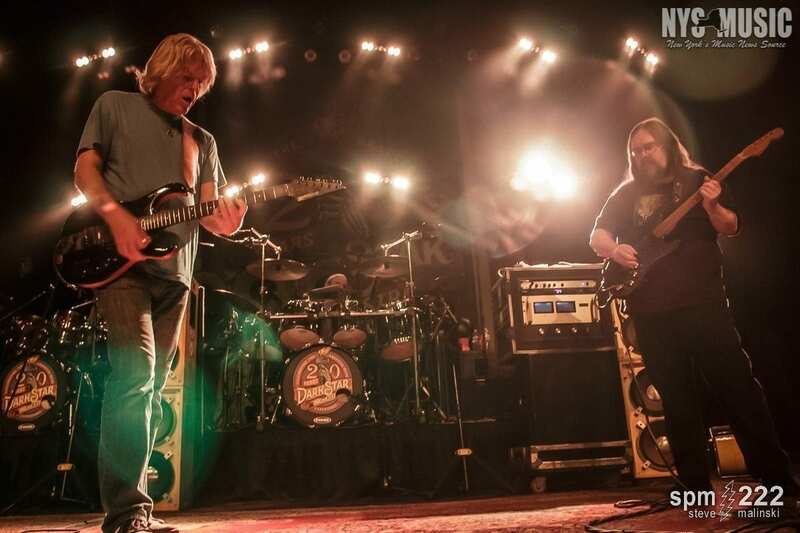 DSO broke form slightly to perform a selective setlist in the style of a particular show which in this case was based on the stylings of 7-19-1990 at Deer Creek Music Center in Indiana. Even though the show wasn’t an exact replica of a Grateful Dead setlist, it showed DSO’s endowment for channeling a particular Grateful Dead style seamlessly through set substitutions to maintain the feel of a real Dead show. Set 1 started with a quick recognition of “Jack Straw” and continued on with an easy groove through the set. The 1940s blues standard “It Hurts Me Too” anchored the first set with a remarkable feature of singer Lisa Mackey’s vocals. Rounding off the first set was “Deal,” starting off like any Grateful Dead performance of the song interlaced with plenty of noodling intricately replicated by Jeff Mattson (who replaced long-time DSO guitarist John Kadlecick in 2010). Like a firecracker on a short fuse Mattson’s noodling quickly went from its regular form to a fiery hot guitar jam before coming back around to a quick refrain of the chorus. Keyboardist Rob Barraco took a few moments before the encore to explain a little bit of the setlist and to plug DSO’s four-night Jamaican excursion in January. The Dead’s 7-19-1990 show only included “U.S. Blues” but DSO took the opportunity to make it a perfect close to the show by adding on “Mr. Charlie.” With many unique and excellent Grateful Dead cover acts out there, Dark Star Orchestra has shown again their consistency in delivering a genuine Grateful Dead tribute. Check out a recording of this DSO show on archive.org. Steve is an engineer by day and photographer/writer/musician by night formerly from the Capital District, now based in the lower Hudson Valley. He is also the local music director for and guest host on WRPI in Troy, hosts the weekly Grateful Dead program "Shakedown Street" on WVBR-FM in Ithaca, and musician in the L Train Brass Band in Brooklyn.